You'll find a sampling of my writing, messaging, and branding projects here. Everything I work on is designed to motivate behavior change — hopefully with a little flair and a light touch. 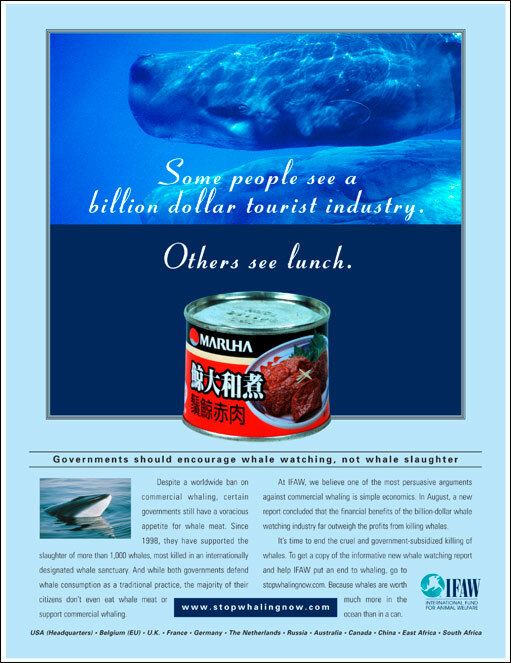 Our job with this ad was to convince whaling countries that whales are worth far more to them as a tourist attraction than as lunch meat. I worked with an art director to concept the ad and wrote the copy.